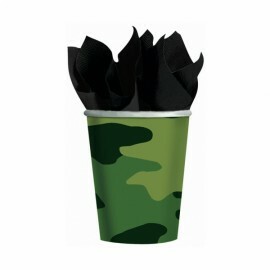 Camouflage Cups Paper 266ml Pack of 8.. 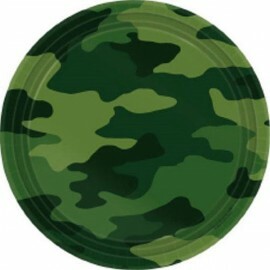 Camouflage Dinner Plates Paper 23cm Pack of 8.. 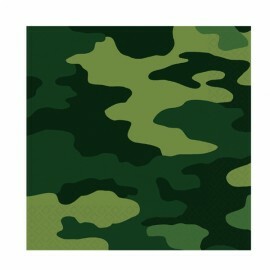 Camouflage Luncheon Napkins 33cm x 33cm - 2 Ply Pack of 16.. Camouflage Luncheon Plates Paper 18cm Pack of 8.. 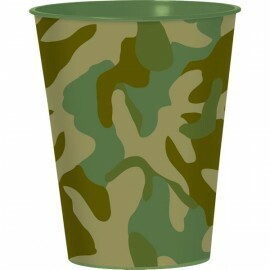 Camouflage Plastic Souvenir Cup 473ml Each..